Southeast Asia is planning 400 new coal power plants — what does that mean? Southeast Asia is one of the fastest developing regions in the world. Electricity demand in 2035 is projected to increase by 83% from 2011 levels, with many countries in the region still pursuing new coal-fired power plants, while lagging far behind China and India in scaling up renewable energy. Among developed countries, only Japan and South Korea continue stand out as the only ones eyeing a coal power expansion, in direct conflict with climate commitments and concerns about public health. With 120 coal-fired power plants under construction and more than twice as many planned, Southeast Asia is being left as the main region still planning new coal-fired project starts. While having a massive amount of coal under construction, China has cancelled most new coal power projects and aims to control 2020 coal-fired capacity below the amount that is currently operating and under construction. India has indicated that no more coal-fired capacity will be needed for many years to come. A new study by Harvard and Greenpeace researchers has found that cancelling new coal power development in Southeast Asia, Japan and Korea could save 50,000 lives per year by 2030. We find that air pollutant emissions from coal in those countries would triple by 2030, despite new plants having somewhat better emission control performance than old plants. How significant are the health impacts? With the planned expansion, the death toll from coal in Southeast Asia would approach that of India, where coal-fired power plants are responsible for an estimated 100,000 deaths each year. If India fully implements its new emission standards for coal plants, the region could even overtake India. China is in a class of its own, due to the exceptionally energy intensive model of development the country has pursued, but is at least taking determined steps to address these impacts. Indonesia will suffer the highest number of premature deaths, followed by Vietnam and Myanmar. Another comparison is that air pollution from coal-fired power plants would rival the 100,000 deaths from Indonesia’s 2015 smog, every year. What is driving the coal expansion? Most of the Southeast Asian countries pursuing new coal plants have heavily entrenched coal lobbies which have successfully set roadblocks to shifting to renewable energy – as do Japan and Korea. The trap is that to reach competitive power generation costs, the renewable energy industry needs to reach a certain scale, as it has e.g. in India where new wind and solar provide more affordable power than new coal. This renewable energy take-off has not happened yet in most of the countries in our study. Cost of renewable energy has also come down so fast that few countries’ power development plants fully reflect today’s situation. One important driver for coal power projects in Southeast Asia is that Japan, Korea and China are all aggressively promoting coal in the region, providing subsidized financing for new polluting power plants. This skews Southeast Asia’s power choices at a crucial time in their development. Is the tide turning against coal? Southeast Asia needs large amounts of new power to adequately cater to the needs of its large population. However, development does not need to mean continued reliance on coal for new power generation – to the contrary, shifting to renewable energy could provide a boost to development. Air pollution affects maternal health and children’s development, burdens healthcare systems and reduces economic productivity by making people sick. These are real economic impacts that hamper economic development, unless they are taken into account and addressed. Awareness of air pollution in Southeast Asia’s major cities is already relatively high – at least as measured by the simple indicator of how many people wear masks when going outdoors. We have also seen an increasing amount of concern about air pollution and growing grassroots movements for clean energy in the region. Vietnam and South Korea have already taken steps to downsize their plans for new coal-fired power plants, out of concern for local impacts and climate change. Vietnam has set ambitious renewable energy targets, while Japan’s solar power industry has seen truly impressive growth. 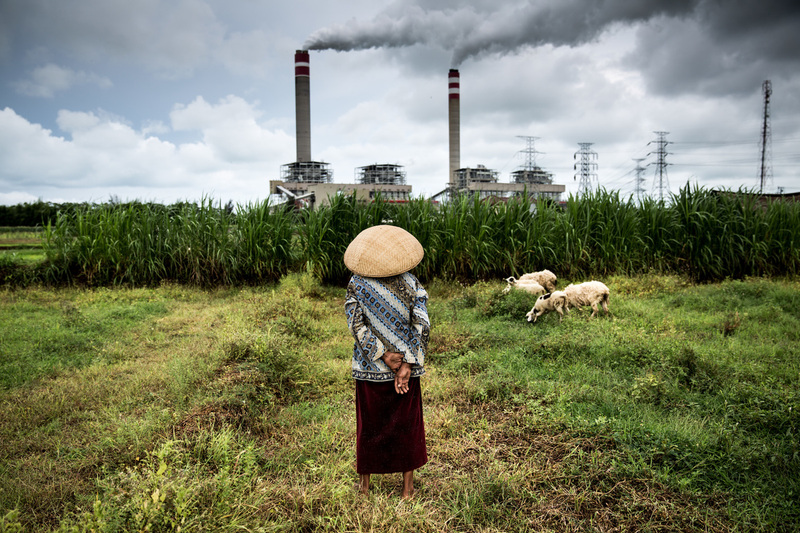 Indonesia’s program to add 35,000 megawatts of new capacity by 2020, a key driver of new coal-fired power plants, is running into trouble and costing ratepayers more than anticipated, while the need for the targeted amount of capacity is increasingly questioned. There is reason to believe that Southeast Asia will start following the global trend away from coal.